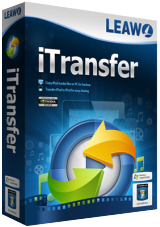 Leawo iTransfer trasferisce dati tra dispositivi iOS, iTunes e PC in maniera facile. Leawo iTransfer 2.0 era disponibile come app gratuita il 09 luglio 2018! Leawo iTransfer offre soluzioni perfette per problemi di trasferimenti su iPhone, iPad e iPod. È abbastanza facile trasferire 12 tipi di file comprese app, foto, musica, video, SMS, contatti e così via tra dispositivi iOS, iTunes e PC. È anche in grado di fare il backup di file iPhone, iPad e iPod (touch) sul computer. Soluzione Multimediale 10-in-1 per Scaricare, Convertire, Copiare, Masterizzare, Riprodurre, Editare e Molto Altro con una Velocità 6 Volte Maggiore. Una soluzione multimediale definitiva per scaricare video e audio online; convertire video, DVD e Blu-ray; copiare DVD e Blu-ray; masterizzare video in DVD e Blu-ray; editare video, DVD e Blu-ray; riprodurre video, DVD, e Blu-ray; e così via. Speciale 40% di SCONTO per gli utenti GOTD. 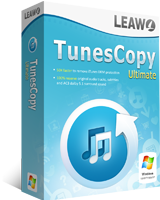 Leawo TunesCopy Ultimate è una suite completa per la rimozione del DRM per iTunes, che combina un convertitore video DRM, un convertitore di musica DRM e un convertitore DRM di libri audio nella suite del programma. Speciale 40% di SCONTO per gli utenti GOTD. Masterizza Blu-ray DVD in oltre 180 formati video/ audio con 100% qualità originale e una velocità 6 volte maggiore. Leawo Blu-ray Ripper è in grado di copiare e convertire Blu-ray in video ed estrarre audio da Blu-ray per salvarli in tutti i formati per qualsiasi riproduttore e dispositivo. Speciale 30% di SCONTO per gli utenti GOTD. Leawo Blu-ray Copy ti offre la migliore soluzione per copiare Blu-ray oppure film DVD senza perdita di qualità. Questo programma per copiare Blu-ray è in grado di copiare dischi Blu-ray di BD25 e BD50, copiare cartelle Blu-ray e file immagine ISO, copiare disco DVD di DVD-9/DVD-5, anche cartelle DVD e file immagine DVD ISO. Speciale 30% di SCONTO per gli utenti GOTD. - It says: "App transfer is not available for iOS 11.4". All my iOS devices are already 11.4, and we get no updates for the GAOTD programs, that means that this is already now somehow crippled. - It also couldn't find my text messages: "No file". - For some categories, i.e. the mentioned text messages, it takes a very long time to list the contents or say that there were none. - Out of around 200 photos it found 5. The rest is under "Camera". Not very intuitive. Photo transfer is very quick. - It found no notes on my phone, although there are 28 of them in local storage and 21 from exchange. - It says: "App transfer is not available for iOS 11.4". All my iOS devices are already 11.4, and we get no updates for the GAOTD programs, that means that this is already now somehow crippled. - It also couldn't find my text messages: "No file". - For some categories, i.e. the mentioned text messages, it takes a very long time to list the contents or say that there were none. - Out of around 200 photos it found 5. The rest is under "Camera". Not very intuitive. Photo transfer is very quick. - It found no notes on my phone, although there are 28 of them in local storage and 21 from exchange. sounds like this program will not work with the latest iOS at all. sounds like this program will not work with the latest iOS at all. what good is it? Without exception, every Leawo title I've downloaded and installed as a GAOTD dropped into unregistered demo mode after several months, despite being touted as a lifetime license. And no, I never updated it, or even checked for updates. They just stopped working. Your mileage may vary. Without exception, every Leawo title I've downloaded and installed as a GAOTD dropped into unregistered demo mode after several months, despite being touted as a lifetime license. And no, I never updated it, or even checked for updates. They just stopped working. Your mileage may vary. Was a non-starter- just a waste of an hour or two trying to get it to work- uninstalled. And judging by today’s comments- seems little reason to try again. Yep- I’ve tried this software previously- Was a non-starter- just a waste of an hour or two trying to get it to work- uninstalled. And judging by today’s comments- seems little reason to try again.